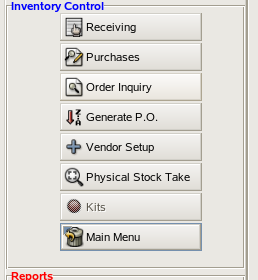 TravStar1 Point Of Sale SystemManager's Work Station Inventory ControlHow Can I Make Inventory Adjustments without Receiving or Performing a Physical Inventory? 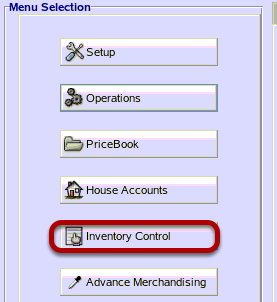 How Can I Make Inventory Adjustments without Receiving or Performing a Physical Inventory? 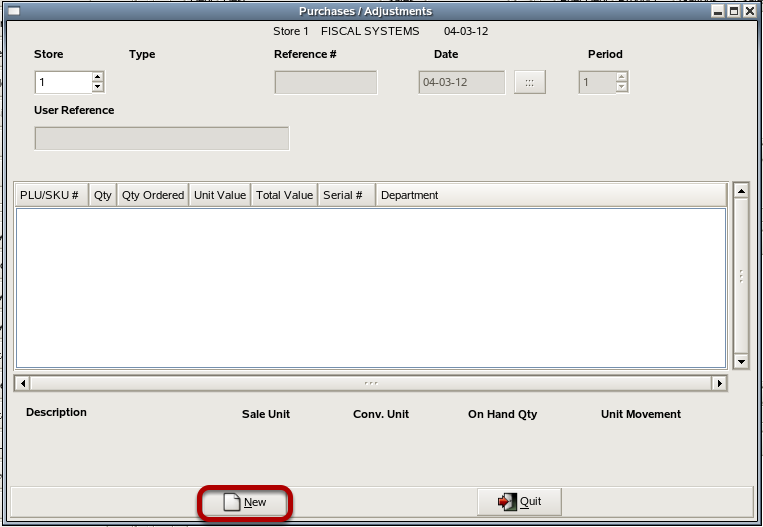 This lesson will teach you how to make adjustments to your inventory quantity on hand for individual items. 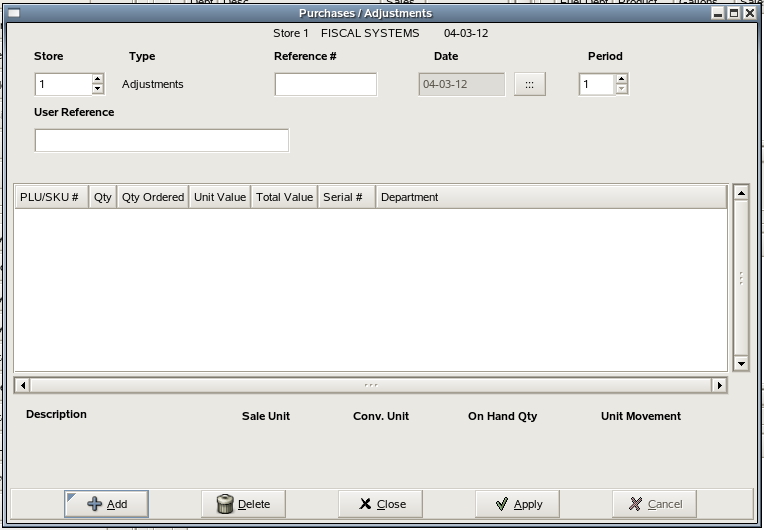 From Inventory Control, click on "Purchases". 1) Click to select "Adjustments". 1) Type in the 6 digit or 12 digit PLU number for the item you wish to adjust. 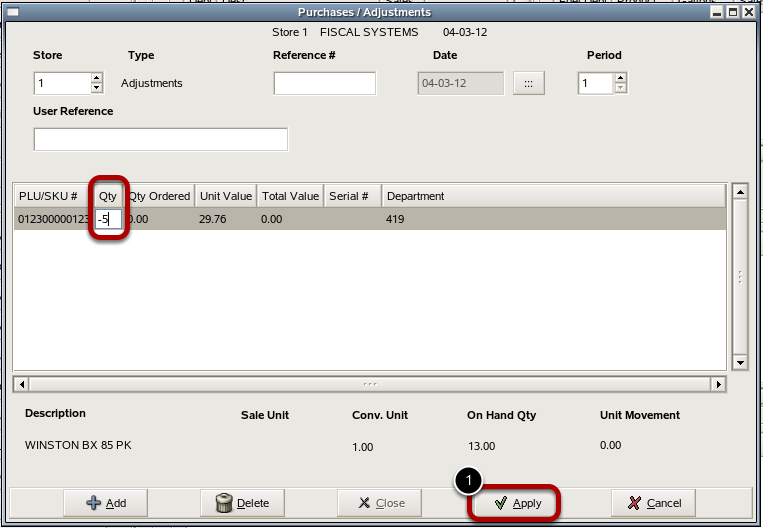 1) You can enter an invoice reference # for this adjustment for internal purposes. 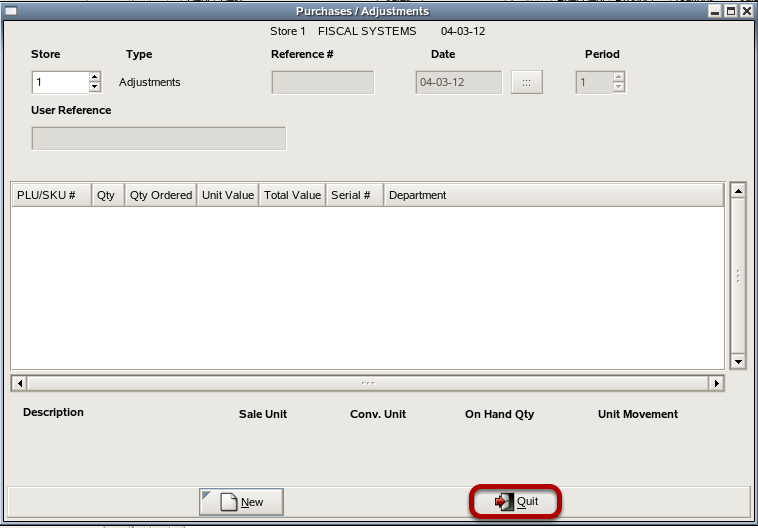 You can set the date to when the item was actually adjusted in inventory and the accounting period. 2) Click in the field for Qty. Type in the amount you wish to adjust. To remove an amount from the On Hand Quantity. Precede with a dash (minus sign). To add an amount simply type the number. You can continue adding as many items as you like to this list. 3) When you have completed your list of adjustments, click "Apply". If you would like a print out of your adjustments, click "Yes". Quantity adjustments are not final until they are applied. 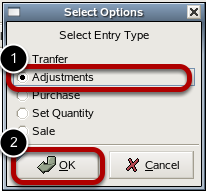 If you make a mistake you can correct it in the quantity field or click on 1)"Cancel". And then click on 2)"Close" without applying. Prev: How Do I Inventory the Store with a Wireless Handheld Scanner? 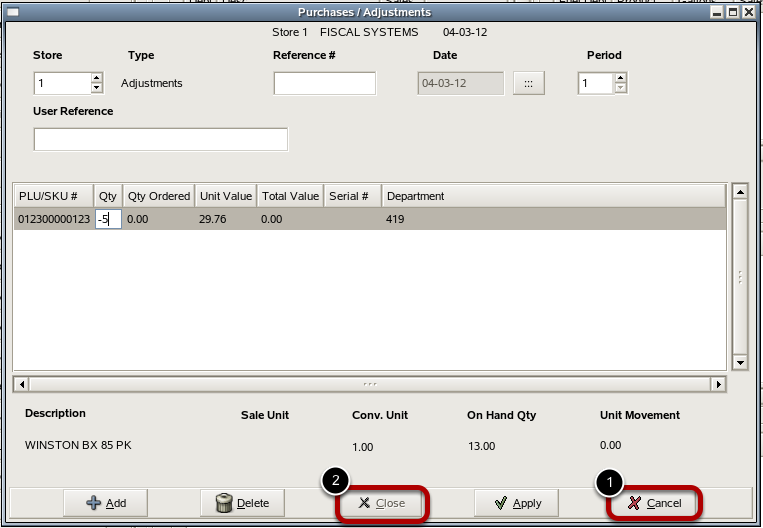 Next: How Do I Place an Order by Weeks of Desired Inventory?